Calling My Name, by debut author Liara Tamani, is a striking, luminous, and literary exploration of family, spirituality, and self—ideal for readers of Jacqueline Woodson, Jandy Nelson, Naomi Shihab Nye, and Sandra Cisneros. 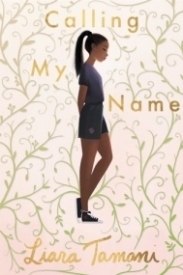 This unforgettable novel tells a universal coming-of-age story about Taja Brown, a young African American girl growing up in Houston, Texas, and it deftly and beautifully explores the universal struggles of growing up, battling family expectations, discovering a sense of self, and finding a unique voice and purpose. Told in fifty-three short, episodic, moving, and iridescent chapters, Calling My Name follows Taja on her journey from middle school to high school. Literary and noteworthy, this is a beauty of a novel that deftly captures the multifaceted struggle of finding where you belong and why you matter. Tamani takes us on a journey from Taja's middle school years all the way through college--a true coming-of-age novel. Throughout the book, which is so lovingly crafted, we see Taja struggling to conflate the many discrepancies in her life: Christianity and sexuality, love and lust, sinner and saint. Tamani does a beautiful job of making Taja's struggles extremely relatable to all readers, not just southern black Christians--anyone who has grown up questioning 'self' will relate to this narrative. Highly recommend to anyone who enjoys a thought-provoking coming-of-age novel. A lyrically penned novel about a girl struggling to merge her conflicting senses of self. I can hear the voices of some of the greatest African American writers echoing in the voice of Liara Tamani's debut novel, Calling My Name. Reading Calling My Name had me reminiscing not only on some of those books I've read, by the aforementioned authors--but reminiscing of my childhood and adolescent years. I found pieces of my childhood in this story, and it made the story that much more enjoyable. In this coming-of-age tale, Taja Brown, seemingly struggles with her religious beliefs, and the realities she feels her family, simply doesn't get. A blend of familial obligations, and realistic situations--Calling My Name was a story, the reader and myself won't soon forget. With lyrical, poetic, and downright gorgeous writing, Calling My Name was a stellar debut. Taja Btown is young, and she's just trying to figure life out--outside of what she's already been told. Taja's family, is a church family. The mother and father are apart of the church--and they're faithful to their religion. Taja struggles with committing to what she's committed to her entire life, and always feeling like there's more--more than what's she's been taught. All the while exploring this, we get to know who Taja is, as she does the same. It was completely realistic and absolutely relatable. I felt like I got it, because the exploration of ones self is something we all do at some point--and I enjoyed watching Taja do the same. While religion was a heavy portion of the family's lives--and although it thoroughly dictated who they were and how they moved as a people--I definitely loved the way the parents were painted. Dedicated, good-hearted people with realistic and non-harsh expectations of their children. The son, is pretty much a play boy, but he does go off to college and attempts to make something of himself. Taja, eventually does the same. The overall picture is positive and it was wonderful. Now let's briefly talk about the romance--because well we're all (some) looking for the romance. Or, maybe that's just me?! Anyway, there is a little bit of romance but it is so realistic some of you may find yourself displeased. There's no slow burn or push and pull. It just kind of happens. Inevitably. Realistically. It kind of just happens to you, and it was real. So be prepared for that. You won't be swooning but you'll be nodding your head in agreement. With that aside it is a coming-of-age story--so there's not a lot of action. But it reads so well and so beautifully you won't miss it. Without being too verbose--this is a solid debut. It was beautifully written and plain 'ol good reading. I'd definitely recommend it, and highly so!